ItemF-02393 - Logging near Arrowhead. ItemF-02394 - Arrowhead school and its students. ItemF-02395 - Union Hotel at Arrowsmith. 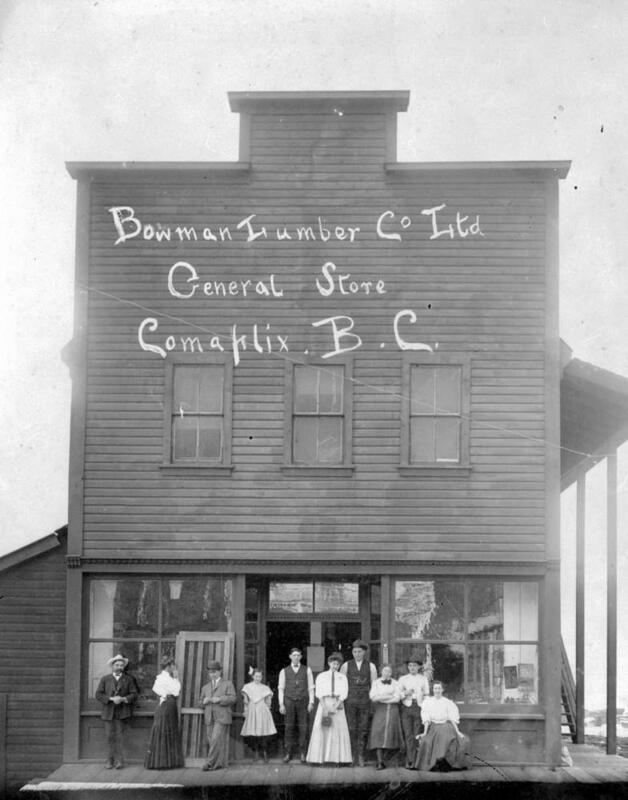 ItemF-02396 - "Bowman Lumber Company Limited, General Store, Comaplix, BC". ItemF-02397 - Arrowhead under construction. ItemF-07370 - Jones Tent and Awning, Kaslo. Item F-02396 - "Bowman Lumber Company Limited, General Store, Comaplix, BC". "Bowman Lumber Company Limited, General Store, Comaplix, BC".